Richard Ratcliffe, the husband of a British-Iranian woman jailed in Iran’s notorious Evin Prison, says that Islamic Revolution Guard Corps (IRGC) officials are using his wife as a “bargaining chip” to secure a decades-old £500 [$620] million debt for a tank deal from the British government. 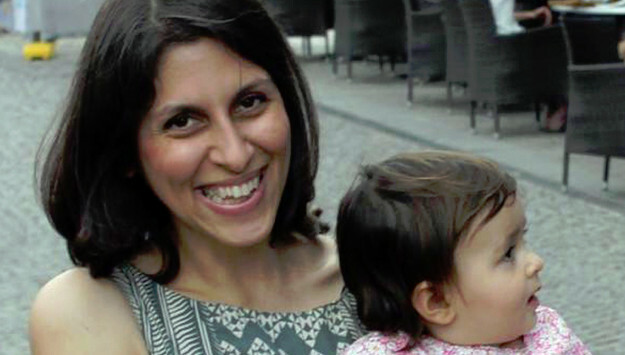 Intelligence agents from the IRGC’s Sepah-e Sarallah bureau in Kerman Province arrested Nazanin Zaghari-Ratcliffe, a Thomson Reuters charity worker in the UK, at Tehran Airport on April 3 along with her toddler daughter. Five months later, a revolutionary court in Tehran sentenced her to five years in prison on vague and spurious “national security-related” charges. IRGC officials also accused her of “executing media and online campaigns as a member of foreign organizations” to foment a “soft overthrow” of Iran’s Islamic regime – allegations she and her family have strenuously denied. The imprisonment of Zaghari-Ratcliffee appears to be yet another attempt by IRGC authorities to extort money from the West and score political gains at home. They have also arrested several Iranian-Americans to use as a leverage for potential prisoner exchanges with Washington and extract political concessions and monetary ransom. Internally, by arresting Iranians with dual nationalities, IRGC officials also want to discredit the Rouhani government and undermine his rapprochement with the West. The recent arrests of dual nationals by Iran show that incentivizing IRGC’s bad behavior only encourages it to continue taking Americans and Europeans of Iranian origin hostage for financial and political purposes.